Calling all SRHO member and affiliate organizations and potential member organizations! Join us for SRHO’s 2nd Annual Conference on October 11-12, 2018 in Dallas, Texas. Lee is a sought after industry expert in shared services, outsourcing and technology. He will discuss the role of shared services in healthcare and the importance and implications of robotic process automation. Ellen is responsible for shaping the strategy for the National Business Group on Health. She will provide national perspective on key health care issues facing large employers and key initiatives underway to better manage health care costs and drive delivery system transformation. Michael is an expert in Customer Relationship Management (CRM). Drawing on his experience from various other industries, Michael will discuss strategies for using advanced algorithms to understand and serve your patients better. To register please complete the secure online registration form by clicking here or email info@srho.org with any questions. The 2018 registration fees are $695 for SRHO members and $1,095 for non-members. 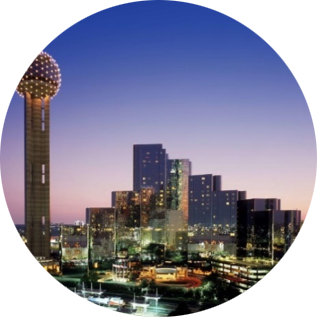 A limited number of rooms have been blocked at a discounted rate ($169/night not including tax) for SRHO Conference attendees at the Hyatt Regency Dallas. Click here or call 214-651-1234 to book a room.